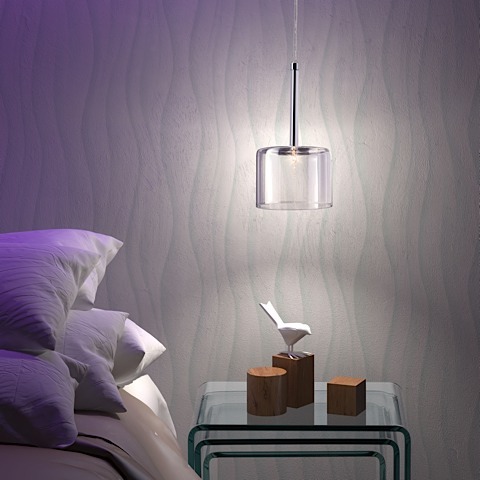 The Storm Ceiling Lamp offers elegance wrapped in a modern package. 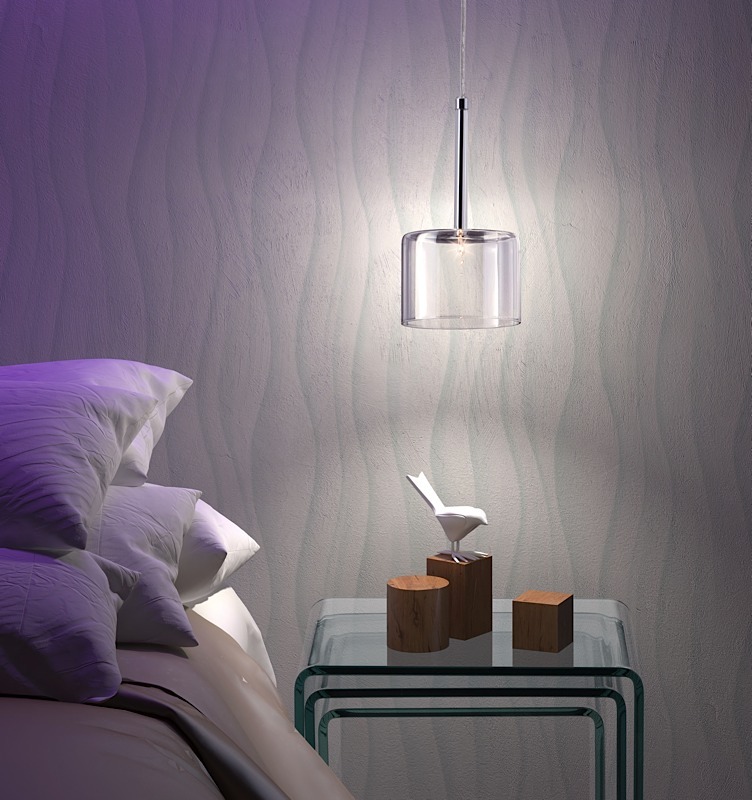 The cylidrical clear glass shade holds a diminutive yet stylish bulb. The lamp also features gleaming chrome accents. Requires one (1) type T 10W max bulb which is included. Cord length is 59". Storm is UL approved!